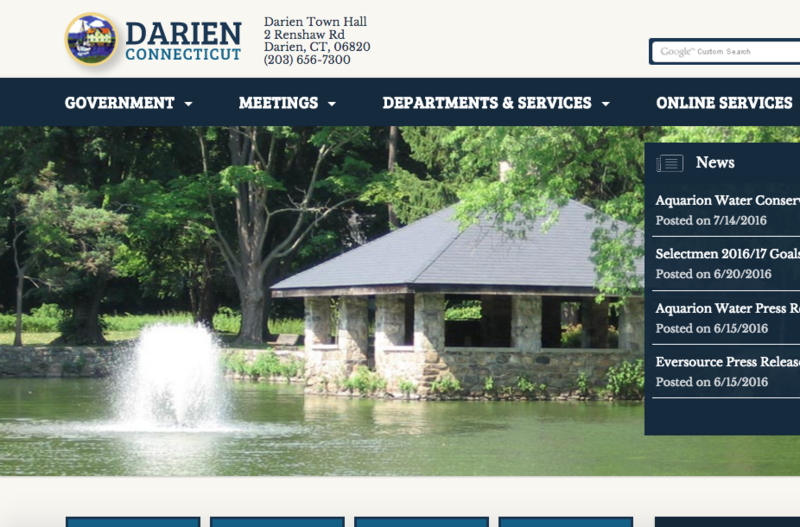 It may be only temporary (we haven’t received an announcement, and there can always be glitches), but the Darien town government website has a new look. Town Administrator Kate Buch said at a recent meeting that at least one person from each town government department was being trained on how to use the website. Hey, good lookin’ — part of what the revised town government website looks like on Tuesday afternoon. The pictures on the Home page come from Wikimedia Commons (where these particular ones are free to use by anybody and posted without copyright). 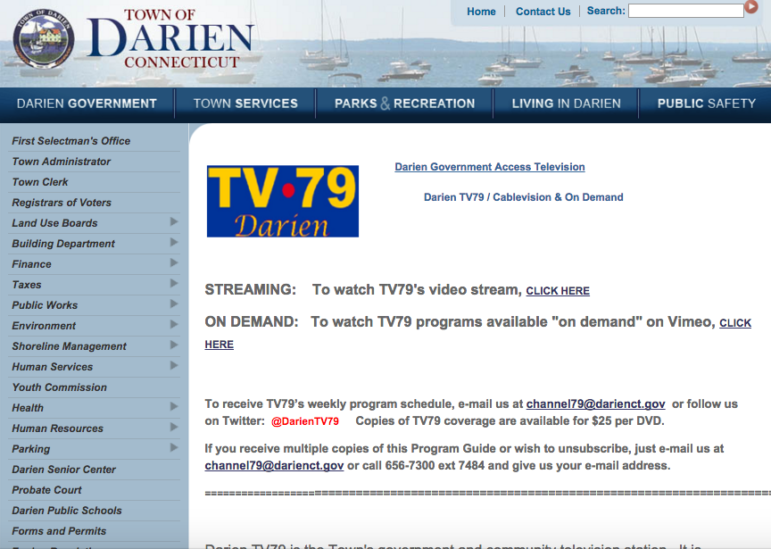 The Darien TV79 Web page, still old school, as of late Wednesday afternoon. In some cases, the old and the new pages are both on the Web, and clicking on links from one page to another will sometimes get you a “404” error page, sometimes get you another old-style page — but that’s the kind of thing that happens in a website transition. 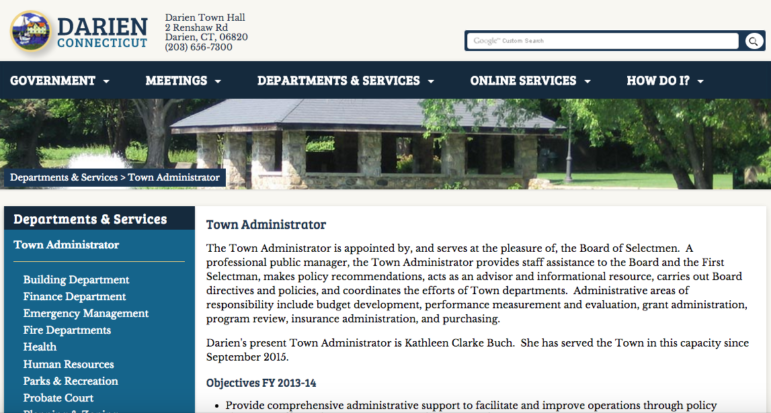 New style Web page for the town administrator. Part of an error page you may get while tooling around the website as it transitions.